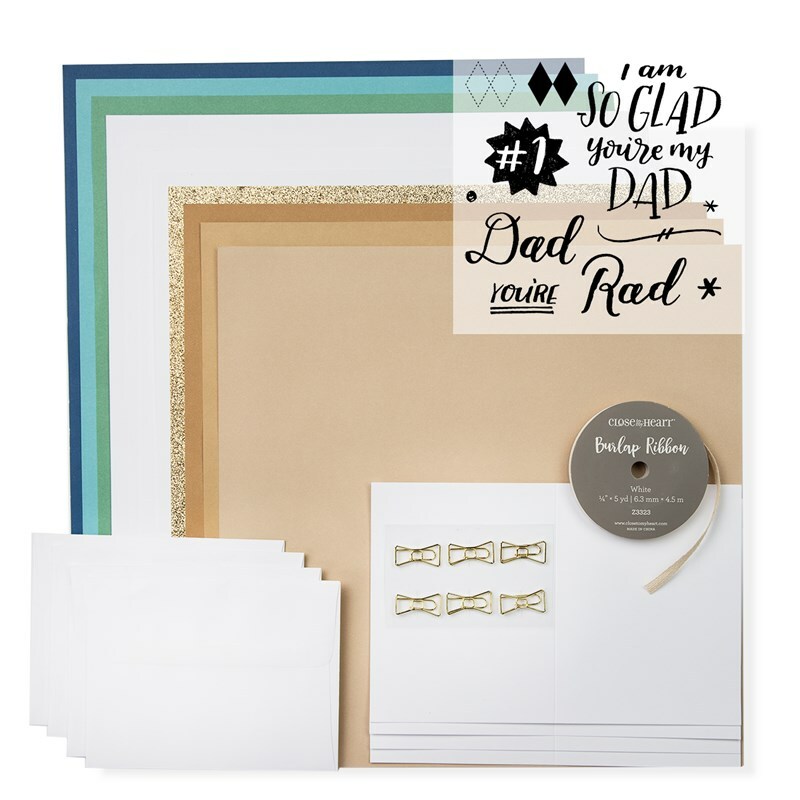 WELCOME to our Rad Dad Masculine Blog Hop where we are featuring products from the "Dad is Rad" special, available only through June 15th and while supplies last! For a limited time, you can get this sensational stamp set to show your love for the wonderful men in your life! 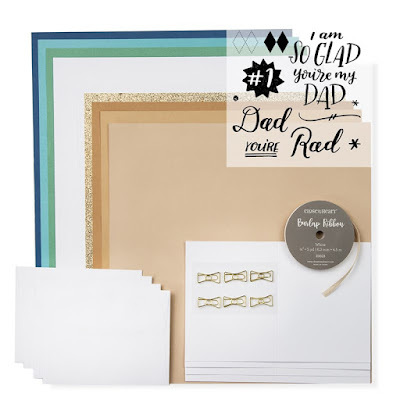 Get the Dad is Rad Bundle for papers and accessories you can use to create the cards and scrapbook pages shown above. PLUS, you can find a complete and detailed guide FREE, for completing this layout and four cards, through this link! Download and print it at your convenience. You can even use it with other products and for different occasions. 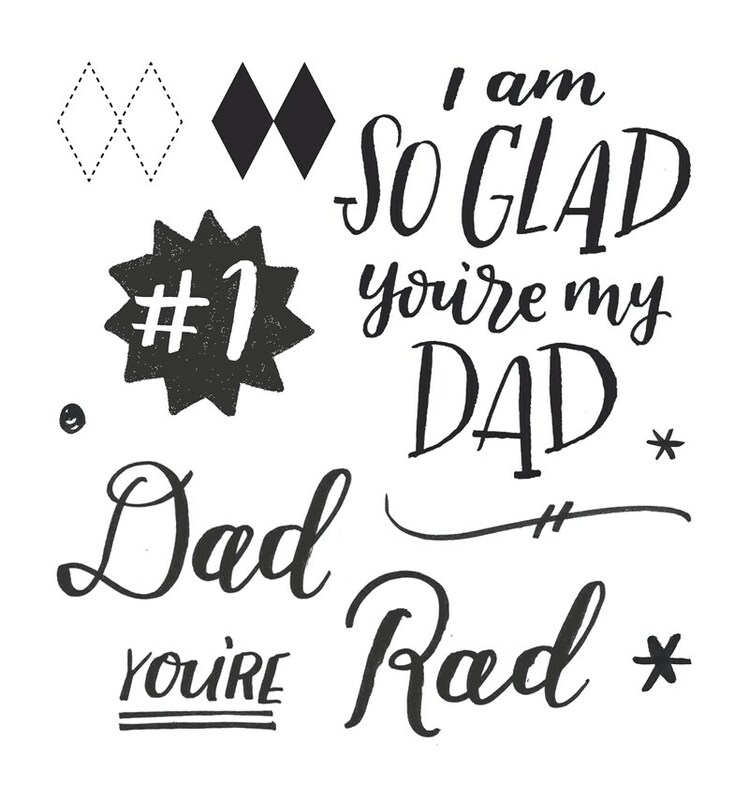 If you would like to buy the stamp set, you can do so separately for $17.95. Contact me (or your Consultant) to place an order or for any questions you may have. If you are coming from Wendy's Blog, you are on the right track. You can find a complete list of participants here. If I haven't already told you, I LOVE our Glitter Paper. It is of great quality and if you think there is nothing special about it, contact me and I'll send you a piece to try! 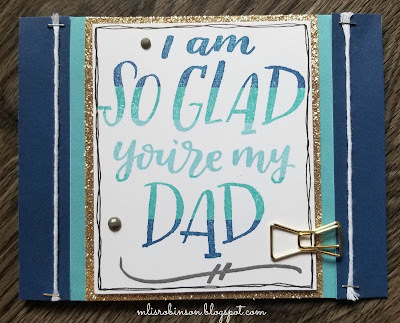 I promise, there is nothing else out there on the market that compares and I used it to provide a little bit of dad-glitz on this card. 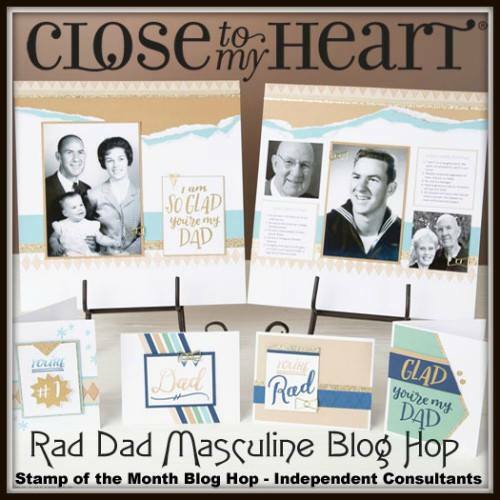 To create the three-toned stamp image, I first inked the image in Glacier ink. Then, I inked part of the top and bottom images in Lagoon. Lastly, I added Pacifica ink to the furthest edges and this was the result! I loved the ease of creating this ombre' effect and I think it came out great! I know this is for a man, but they can still appreciate a little bit of bling, can't they?! The Gold Bow Clip was perfect for the bottom right corner and I added some White Twine, adhering it on all ends, with the Mini Stapler. I'm anxious to see what others have created with these products and hope you are too! 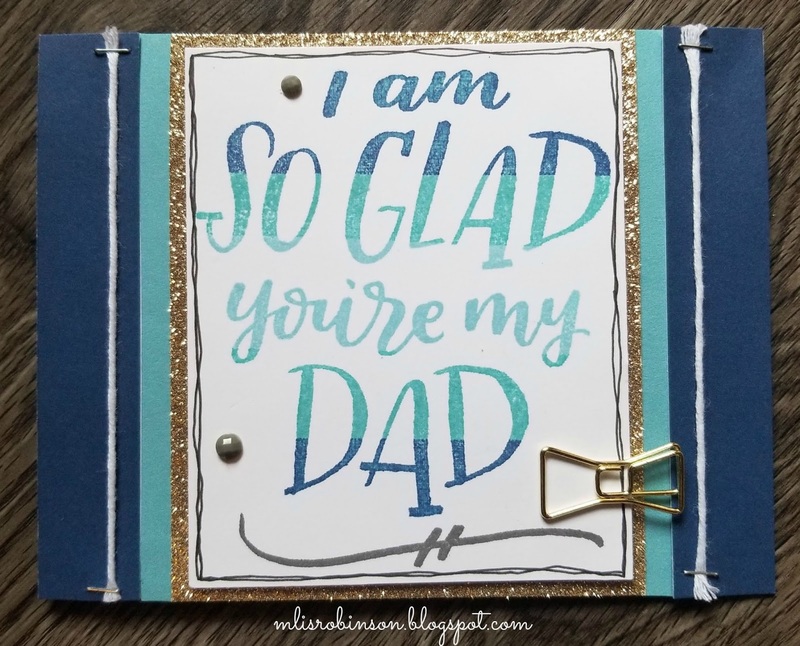 Head on over to Cat's Blog to see what fabulous artwork she has created to share with you! Great card! I love how you triple inked the sentiment. I appreciate you saying so, Cat!